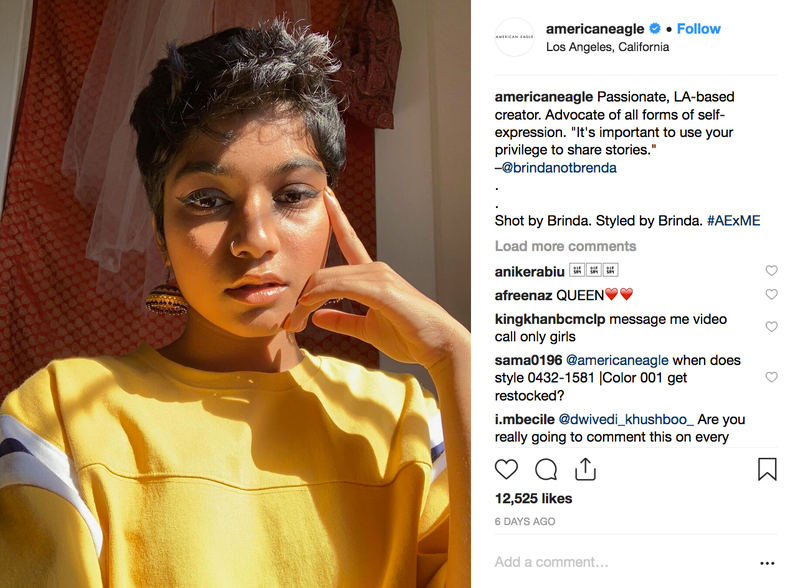 In an effort to maintain an authentic brand voice and create long-lasting relationships with its Gen Z audience in particular, American Eagle (AE) is utilizing the power of social media to directly cast real members of its customer base to star in its newest advertising campaigns. An extension of the #AExME initiative, the campaigns seek to share messages of diversity, empowerment and inclusion through promoting the various forms of self-expression and individual styles of its audience. Under the same #AExME umbrella, the fall campaigns for AE’s Ne(X)t Level Jeans similarly feature members of its real life customer base as well as an actual in-store associate. Shot intentionally in environments that directly reflect shared interests like music and creativity, the Gen Z subjects shared their unique stories and personal styles in conjunction with the back-to-school season. The campaign also features a short video showcasing a diverse array of consumers across various body types and genders. Learn more about American Eagle Outfitters marketing initiatives here.